While police in the U.S. are...oh, I don't know...killing teenagers in racially charged shootings, the police in Sweden are challenging teens to dance contests. Every time we glance over at Sweden, it's doing something way cooler, way more community-oriented, and just generally way friendlier than we are. 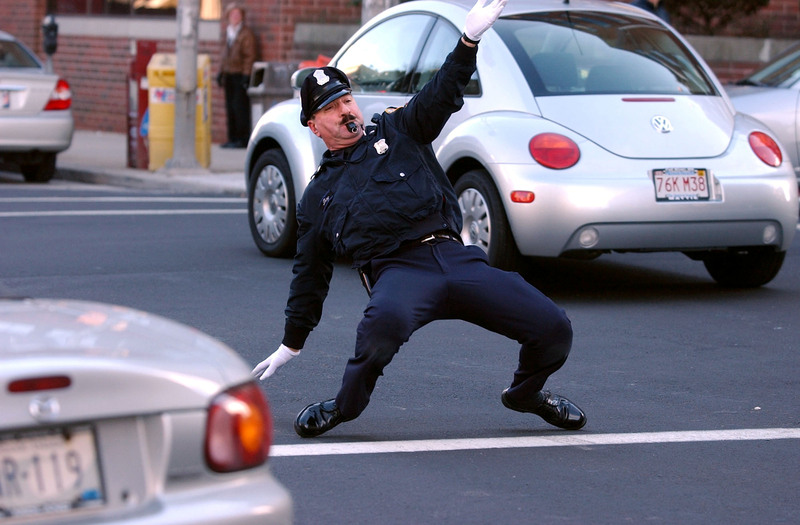 This one cop, in particular, seems to have just figured life out, because clearly, life was meant to be about dance battles. Think about it: What a wonderful world would this be if all battles were dance battles? This cop gives the kid, from Swedish dance crew L.S.U., a pretty solid run for his money, too. But honestly, if this is the worst crime that can be committed by a Swedish cop then who's questioning it? Not to dim his shine, the kid in the video can dance—but the cop can REALLY dance. At one point he even incorporates an air guitar, which is the measure of a good dancer. And even with the crowd going wild around them, neither police officer nor child get rattled. The best part is when the cop isn't dancing, he's acting like some kind of hype man for the kid, which makes our hearts go "awww!" Lift your spirits this morning and watch the video below.